Golden Pilates was located in Downtown Golden, CO. They recently sold their business to a larger company who has replaced their website with their current website. 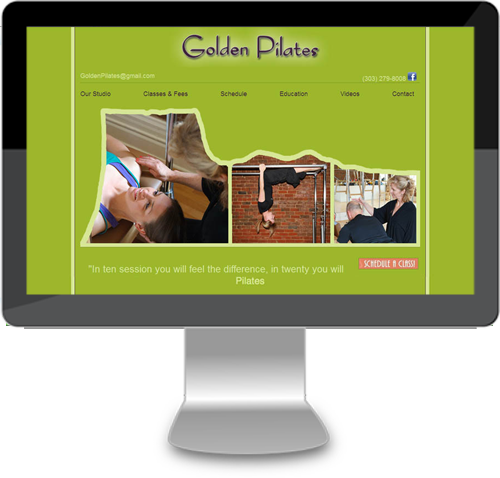 For Golden Pilates, we created a custom mobile responsive website.